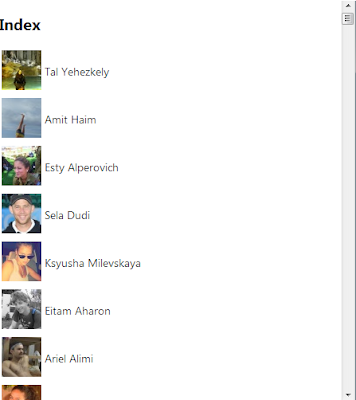 In my last post I showed you how to get and display your facebook details, in this post I'll show you how to display the details of all your friends. 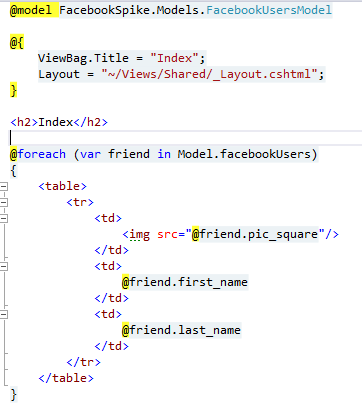 Its a really simple table with just two columns: the logged in user id and the friend's id. The me() method returns the id of the logged in user and the second id is the other user id, if the query returns an answer then the two users are connected – friends. Let's return to other main topic: Displaying all my friend's details. Every friendis eventually a user; the FRIEND table holds only the users ids but not their details. 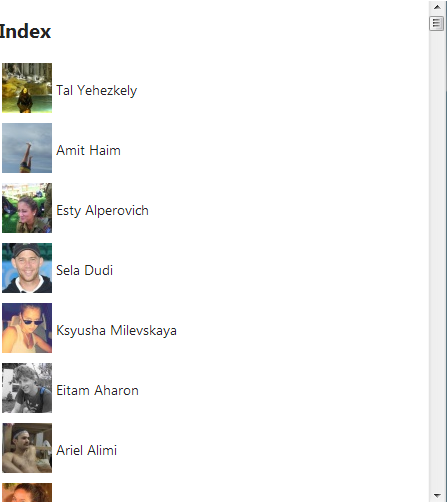 In order to get their details we'll have first to get all the friends ids and then query the USER table with those ids. Now after we know how to get the friends details let's code! 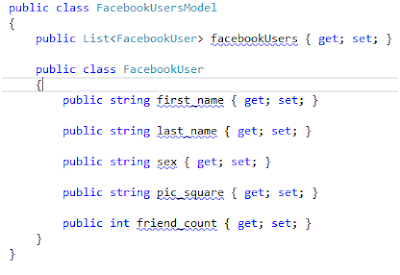 Since eventually we'll retrieve a list of users we'll use the same model from last time – FacebookUserModel, this name will suite more: FacebookUsersModel. Same as before the model holds a list of FacebookUser that represents the wanted fields from the USER table. 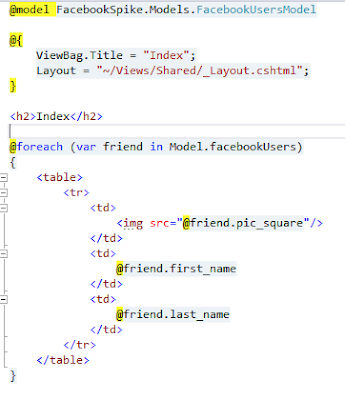 Connect to facebook servers and run the query then get the data from the dynamic object, desirialize the Json and send the model to the view. All your friends on one page. If you want to split them for pages stay tuned for my next post–"Paging and FQL"